I recently took a trip to Garcia's Latin Market. Typically, "Latin America" refers to areas where Spanish or Portugese languages are prevalent: Mexico, most of Central and South American, the Caribbean, Cuba, Dominican Republic, and Puerto Rico. So, for Americans, it's usually anything south of the U.S. Hispanic/Latin Americans make up 2 percent of WVU's student population. While that's not much, it is the most of any minority group. Garcia's Latin Market is located downtown at 117 Pleasant Street. They sell food, spices, pottery, jewelry, coffee and some housewares. Coming up on its one-year anniversary, this unique family-owned business is a great place for those hard-to-find foods or a special gift for a friend. You can check out some of their merchandise and specials on their Facebook page. And they're open Monday through Friday 10 a.m. to 6 p.m. and Saturday 9 a.m. to 5 p.m. I wasn't sure what to expect when I first walked in, but I was pleasantly surprised. One room full of trinkets, candy, food and spices were on display. A sweet woman was behind the counter and was more than helpful. After circling the room a few times, I finally picked up a handful of assorted goods - mostly candy and a coke. Why a coke? 1 - Because it was a cool glass bottle and 2 - Because it is made out of real sugar, not high-fructose corn syrup. So, that's cool. The only difference I could really tell with the Coke is that it seemed really carbonated, like so carbonated that I let it sit out a few hours so that I could drink it. The candies were yummy; I had a really fabulous caramel one. But what I really want to get into is checking out the spices! Does anybody know of any super easy Latin dishes? With maybe some spices that Garcia's sells? It seems like they have a good bit of spices and authentic ingredients to prepare some dishes with, but I want to hear your favorites! Oliverio's Ristorante's original location is in Bridgeport. They opened up a lunch option, Oliverio's Marketplace, which I reviewed here, as well as an Oliverio's Ristorante in Morgantown. Since I already review the marketplace, I thought it was about time to try out the restaurant. This one is located in the Wharf District, so there is some metered parking, otherwise the garage is your best bet. This is one of the nicer restaurants in town, so they do reservations, but we just decided on a whim to go here, so we walked in. We were handed a buzzer. We waited outside until it went off, then we ventured back in the dark restaurant. Because it is nicer, and potentially "romantic," the lights are way down. So, it was difficult to catch the decor. As soon as you walk in, there are some green, leafy plants and small lights in the entryway. The dessert case is to the left, and a set of stairs lead you back to a few different dining areas. 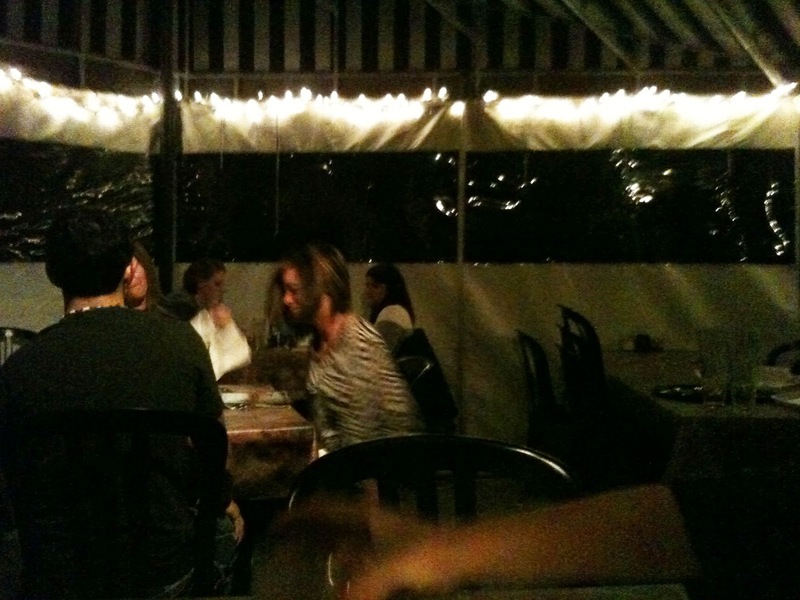 On this particular night, they set us out on the covered patio. Inside, the tables are gorgeous and seats comfy. Outside, we were sitting on plastic chairs, and our table rocked a bit. I wasn't super impressed, considering the inside diners have a nicer experience than the outside. There was also some miscellaneous chairs and tables laying about, so it didn't give off that high-end vibe I want to feel at Oliverio's. It was very chilly out that night, but luckily they keep it heated. Our waitress came out with menus, and we placed our drink orders. I was incredibly hungry, so we put in an order for bruschetta. She also brought out a basket of fresh bread. I can't say a bad thing about their bread - it's fresh and warm and soft and scrumptious. And, I'm not even a big bread person. Our bruschetta came out afterward - four large pieces of bread with cheese, tomatoes and spices. The first thing I noticed was the melted cheese overtop of the bread. Normally, I would like this. But when I think of bruschetta, I think of a more light, airy appetizers with tomatoes and crunchy bread. Maybe light parmesan. But the melted cheese made the toppings warm and an awkward hearty vibe. I wasn't a huge fan. It was also served with marinara sauce. This dish was heavier, and I like the simplify of bruschetta with it's olive oil and tomatoes. This was not my favorite. I also ordered a half Caprese salad, as well as their stuffed shells. My salad came out first, and it was doing what I had hoped it wouldn't - provide only four small pieces of mozzarella and tomato - the rest is greens. Which is okay, but if I ordered a tomato mozzarella salad, I want those to be the prominent pieces. With that being said, it wasn't bad. It was just okay. I wouldn't order it again, though. Finally, our entrees arrived. I wasn't sure what to expect. I ordered stuffed shells, for around $13, so I was hoping it'd be plentiful. 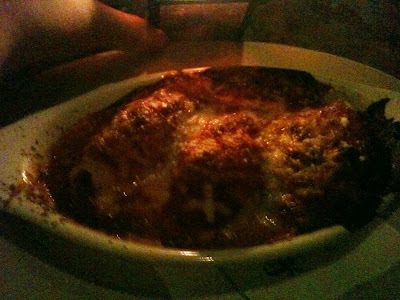 Out came my dish with three stuffed shells. Decent sized ones, but still only three. The pasta was fresh and the cheeses were delicious and creamy. While tasty, three shells was disappointing. I'm glad I got my salad, or I would've been starving still. The quality is good, in the food at least, but the outside decor left something to be desired. On another night, this could be a much more pleasant experience. Also, it was so dark, my photos aren't barely visible. Sorry about that. Black Bear Burritos - "We support local and WV grown/produced products when possible, including Spring Creek tofu, from Spencer, WV, our Black Bear Stout, brewed by Mountain State Brewing in Thomas, WV, and Conquering Lion hot sauces made in Fairmont, WV." As well as the local food, Black Bear celebrates local art on their walls and local music. Terra Cafe - "We take advantage of locally sourced produce, meat and dairy product availability. This gives us a direct and intimate knowledge of the ingredients we use and allows us to build a more personal relationship with our local farmers. You will notice our menu changing from time to time to adapt to the Appalachian seasons." Richwood Grill - "Selected by the West Virginia Department of Tourism as one of the 101 Most Unique Destinations in West Virginia and the winner of several culinary awards, Solera Cafe evolved into Richwood Grill in the summer of 2009 to better utilize the variety of ingredients available locally in West Virginia. Richwood Grill is dedicated to the essential concept of sustainable agriculture and we believe that natural ingredients are healthier and simply taste better." Madeleine's Restaurant - "Madeleine's Restaurant Supports Local Husbandry by using locally-sourced ingredients to produce our signature Fresh, Creative, Modern Cuisine. Madeleine's proudly supports: Hawthorne Valley Farms located in Clarksburg, West Virginia [Beef] Gardner Farms located in Waverley, West Virginia [Lamb] WVU Aquaculture located in Morgantown, West Virginia [Seafood]"
What other restaurants in town serve up locally produced grub? Any favorites? I know I've had fish at Richwood Grill before that is so fresh, it's almost surprising it's not still alive. That's kind of weird. But, let me know your thoughts! The Ronald McDonald House Charities is a non-profit corporation that aims to improve the health of children. Portions of the operating costs are funded by McDonald's. The remainder of their operating incomes comes from donations. Their most recent charity event is the "2012 Ronald McDonald House Chef's Challenge." Based on the reality TV show, Iron Chef, this competition will have two Morgantown chefs squaring off for 60 minutes to create a specialty dish. The dishes are judged by a group of celebrity panelists, and the winner will received a Ronald McDonald House Charities Chef Jacket. Celebrity panelists? You're looking at one of them. Yeah, I was surprised too when I got the email. Blogging about tons of restaurants will get you somewhere, though. The two chefs in this competition are Chef Brian Bruner, executive chef at the Waterfront Place Hotel, and Chef Chris McDonald, executive chef at Stefano's Restaurant. They had an initial date for the competition, but it had some conflicts, so the exact date isn't set in stone, but I'll be sure to post more information as it comes available. However, for now, you can donate to the RMHC for the chef you think will win. And if you'd like to check out the competition, tickets are only $15 per person and $25. So grab a ticket and see me act like I know what I'm talking about. I had only been to Mother India one other time, and it was when the first opened in Morgantown. I wasn't overly impressed, but I wanted to give this place a more subjective look since spicy food isn't my forte. A friend suggested we check it out during their Sunday buffet. Sounds splendid - that way I get a sampling of a few different things. Mother India is located at the very bottom of High Street in that plaza - one of the few places downtown where parking is provided. It's a fairly small restaurant, with all the tables in one room, and a small buffet area is at the back corner of the restaurant. On Sundays, the buffet runs from noon to 8 p.m. Regularly, they have dine-in and takeout options. When we walked in, we were immediately greeted and taken to a table. We waited a few minutes before we ordered our drinks - I knew from previous experience that I wanted water and a coke in case the food is too spicy. After that, we went up to fill our plates. The buffet had maybe a dozen items. Vegetable Samosas - I think of these as little potpies. They are a turnover with peas and potatoes. This is a tasty, filling little treat. Vegetable Pankoras - There are simply veggies deep-fried in butter. Tasty? Yes. This is Indian-American in a nutshell. Nan - This is a light "unleavened" bread, which means it hasn't risen, and it's fantastic. Lots of Indian dishes are in a base sauce, so the Nan bread is fantastic for sopping up the extra goodness. Chicken Tikka Masala - This was by far my favorite dish. It is boneless white meat cooked in a tangy cream sauce. That's about as much as I can give you. It's not overly spicy, and it is filling on top of a pile of rice. It has the spicy flair to it, but creamy and toned down - it's really delicious. Korma - They have shrimp, lamb and chicken korma, but I believe the chicken is what was on the buffet. It is chicken cooked with spices, herb,s nuts and raisons in a cream sauce. This was also quite tasty. The Indian food is all about the various spices put into these dishes, which cause them to have extremely different outcomes. Mother India is doing it right. There were a few other choices on the buffet - not many - but I moved onto the smaller dessert area. Kheer - This is essentially a rice pudding. It is sweet, and thick and delicious. Gulab Jamun - I had no idea what this was until I read the description. It kind of looks like a soaked apricot or peach. And when you bite in, you get this honey-syrupy sweetness, like a thick pancake. What is it? It's deep-fried cheese and milk balls soaked in syrup. Yeah, just try it though. It's a little ball of heaven. My only complaint is that I paid for a coke, but it was one small glass, with no refills. If I had known that was the case, I would've stuck with water. But the food was outstanding and delicious. I highly recommend the buffet for those, like me, who aren't as familiar with the cuisine. It's a great way to get acquainted with the various types of food offered. 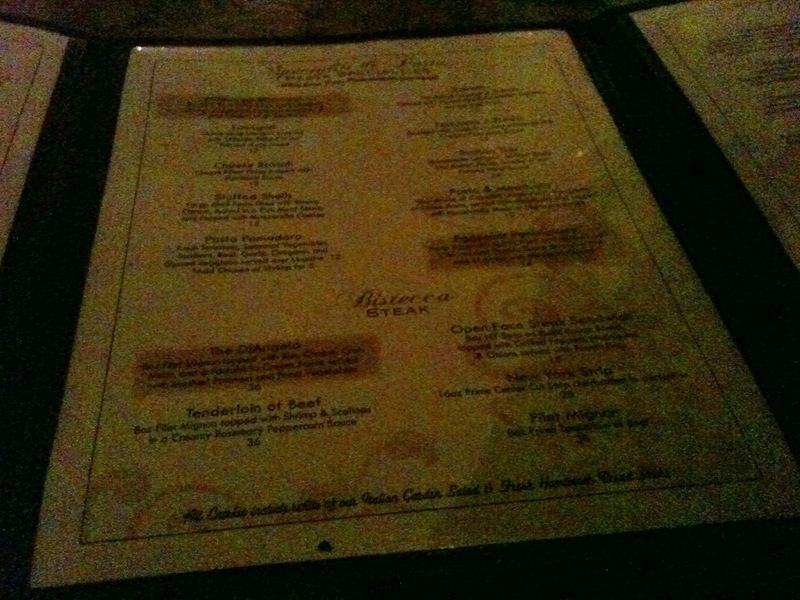 Otherwise, the menu is expansive, and it has descriptions for all the dishes. Morgantown is probably one of the most diverse cities in West Virginia. With students all over the world coming to West Virginia University to study, they bring a portion of their culture with them. Though only around 1 percent of the student body is Asian-American, it's important to maintain their culture while they're in Morgantown. This has led to some pretty cool additions to the town and some insight into cultures that we may have never seen otherwise. A core part of any culture is food. Morgantown has a few markets to help sell those products from different areas in the world that aren't necessarily available in typical grocery stores, like Kroger or Giant Eagle. Tucked beneath a laundromat and some other stores off of Beechurst lies the Vonson Asian Market. This market is to go-to for Asian-specific grocery items. I checked it out the other day and couldn't believe this wealth of goodness that had been hiding from me. Need some noodles? What about some snacks? Fortified Duck Egg, anyone? One half of this store is devoted to packaged goods, like cookies, teas, etc. The other half has an entire area for meats, like flamingo! And a whole back area of the store is devoted to a gift shop for tons of Asian trinkets, housewares and decorative works. Watch what time you go, though, as the giftshop is only open during certain hours. The market is usually open until 7:30 p.m., so there's no excuse to not check it out after work or class. There were so many options, I didn't know where to start! Has anyone checked out the Vonson Market? Any recommendations on what to get here? Check out some of these great blogs that I'm now featuring on my blogroll! Most are West Virginia- and food-related, so if you're already here, they might be interesting to you! All Things Wings - These guys love wings and they judge every restaurant's version around the Ohio Valley. Their idea of specialization is fantastic. Cat Hair In My Coffee - Bailee posts about her healthy lifestyle, much of which involves healthy food. While my focus is slightly different, her take on it speaks to large health trends overall. Communication Breakdown - Chris is a blogging guru. With thousands of hits per month and tackling interesting talking points in West Virginia, his focus on his audience is key. 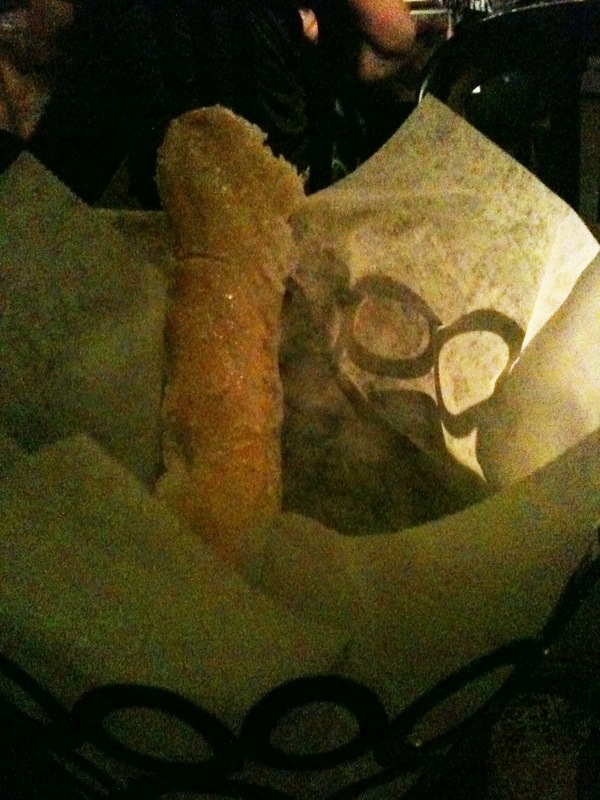 Fork You - This group of bloggers have eaten their way to the #1 blog on Charleston's Urbanspoon. Their widespread list of restaurants is impressive, and their experience blogging is something to which I aspire. Gee I'm Hungry - This is Morgantown cook Eri's blog about her adventures in her kitchen. She cooks, bakes and is an all-around foodie extraordinaire. Her ability to cook gives her that extra edge on what flavors are what. Kitchen Geeking - This blogger has her finger on the pulse of popular food trends and the know-how to make delicious dishes, all of which are essential for a great food blogger. Mountain People's Coop - The epitome of local and organic foods, the Mountain People's Co-op offers some recipes, as well as ideas for popular and creative dishes to replicate. What's interesting is they also offer variations for those with special diets. The West Virginia Hot Dog Blog - Similar to All Things Wings, The West Virginia Hot Dog Blog focuses on hot dogs all around the state. They have certain criteria that they judge on, as well as what makes the "perfect" WV hot dog. Their ability to critique and analyze various flavors is impressive. Wild and Wanderlust in West Virginia - Shannon loves Appalachian culture, and she posts the occasional review. 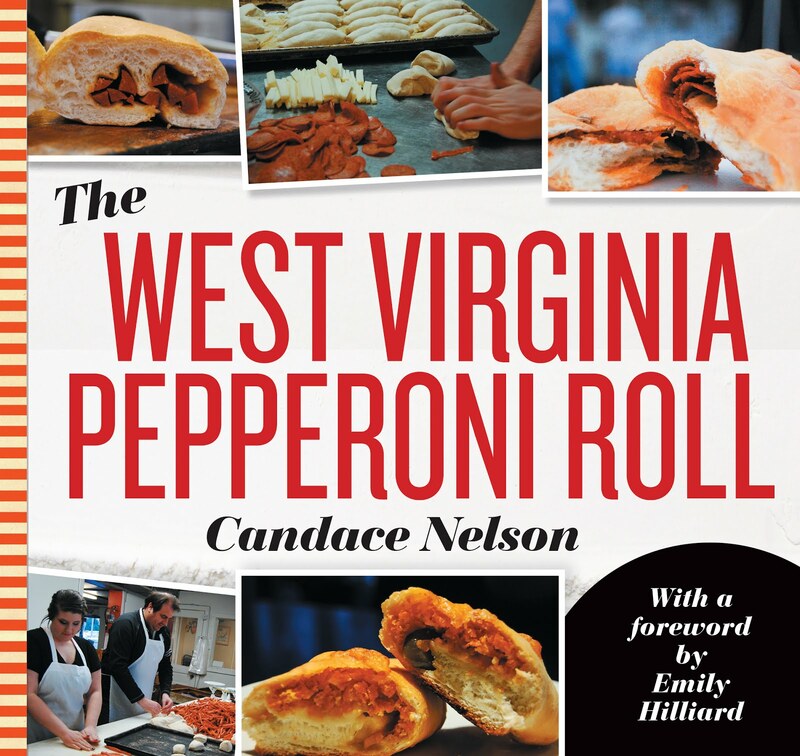 Any information related to West Virginia, as well as the food culture, can be found here. WV Food - The food blog of WV Living Magazine is chock-full of recipes, ideas, festivals and basic essentials for the foodie in West Virginia. A fabulous, easy-to-read blog gives some quick tips and ideas for West Virginians. I've always wanted to go to Working Women's Wednesday since I moved to Morgantown. Working Women's Wednesday is a special hosted by WVAQ at the Vintage Room, the only high-end bar in Morgantown, which features $5 pies and drink specials. So, a few fellow grad students and I headed to Chesnut Street to cash in on the deal. The Vintage Room is located right by Bent Willey's, its sister bar. It's surprising that a nice, classy place would be neighboring Bent, but it's true. Unfortunately, some of the riff-raff spills over from Bent, or acts as a pregame area . But the bar itself is very impressive. Stocked to the max with wines, beers, martinis and liquors, the Vintage Room has many delicious drinks. Their special this night was the "cougar-tini," so I ordered it. I'm probably far too young to be a cougar, but for less than $5, it's a bargain at this place. We looked over the menu, specifically the wood-fired oven pizzas, while we waited. The menu has a huge selection, and tons of things that looked delicious: crab fondue, scallops, seared duck and tuna, but pizza was our goal. For only $5, we had a difficult time choosing which ones looked most delicious - a vodka sauce, a white pizza, a chicken parmesan, or a philly cheesesteak. Ultimately, we decided to order a Mediterranean, which has marinated artichoke hearts, garlic, red onions, tomatoes, feta cheese and kalamata olives. We also ordered their signature Margarita pizza - fresh tomatoes, garlic, mozzarella and basil. My drink came out soon after. The Cougar-tini had a cotton candy vodka, grenadine and something else. But it tasted like a mellow cotton candy - delicious. So, of course I ordered a second one. And by the time I walked out, I was feeling a little warm. I'd say that's a good deal. Our pizzas were also fantastic. The margarita had a rich tomato base, with creamy mozzarella and just a perfect balance of spices and herbs to bring out all the flavor. The simple pizza was tasty. The mediterranean pizza had a lovely blend of hearty base with the salty artichoke hearts and an added kick with the feta cheese and kalamata olives. These flavors were more vibrant, but just as tasty. I was pleasantly surprised by this bar/restaurant. Their menus are extensive, and the specials were great. When it's warmer, I'd like to sit outside on the patio. But the weather is too chilly. I'll definitely be visiting again once it gets warmer. I spent under $12 - split six ways. This small resta- urant, with only a dozen tables or so, is located on High Street. The walls are covered in photos of random chicken restaurants around the nation - pretty cool. Small takeout menus are on the counter. I grabbed one, took it back to my seat, and perused over my options. I wasn't terribly impressed - a bunch of chicken sandwiches, but nothing too elaborate. Morgantown doesn't have a local restaurant, that I can think of, that specializes in chicken, so it might have a good market. But all I could think to myself was that it was a chicken sandwich, and not much more. Regardless, I placed my order for a "Blue Ribbon" sandwich, a chicken breast with ham, swiss cheese, mushrooms and honey mustard. I also ordered a drink and returned to my table. 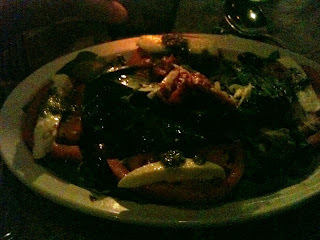 When my food came out, it was in two halves, and lettuce, tomato, and a pepper were on the side. I couldn't taste the honey mustard, but the chicken was moist. The ham, swiss cheese and mushrooms were tasty. Together, the sandwich was okay. I could easily make this sandwich at home, and, in fact, I have. I was hoping for some more creative element, but it wasn't bad. I could probably get this sandwich at a dozen other places around town. But, it was a fine sandwich - exactly what you think it'd taste like. What brought this restaurant's grade lower for me was the service. Like I said earlier, it is very small. So, conversations travel. A group of five or six young men came in and were chatting with the woman behind the counter. All of this is fine. The problem is when this conversation carried on, loudly, flirtaciously, for the duration of my meal. I felt uncomfortable - like I was a creeping bystander, when I was simply trying to enjoy my meal. I actually didn't even finish my sandwich, instead asking for a to-go box, to get out of the place sooner. The dining experience was uncomfortable, and the food average. I could probably find better for my money. I've known about Terra Cafe's existence for quite a while now. They had a prominent web presence before they actually opened. I actually questioned whether or not they ever would open because it seemed as though the wait was long. Located in Star City, it is one of the few restaurants I've actually been to there. I knew the restaurant boasted organic and fresh food. The restaurant is very easy to find. It's right off of University Avenue, on Industrial Blvd. I want during their opening week, so there were signs and balloons welcoming patrons, as well. The parking lot was pretty large, and the outside of the building looks classy and modern. We parked and walked inside. To the right is a large dining area, with sparse tables spread throughout. There was also a couch. The dining are was spacious, and the individual tables were private since there were so few in such a large space. The decor was sleek and modern. Deep colors with hardwood floors and recessed lighting, the restaurant was gorgeous inside. To the left was the counter, with a large menu behind on the wall. They feature coffee and drinks, breakfast, and lunch - paninis, salads, soups, sandwiches, wraps, etc. I looked over the menu quickly, and two things stuck out to me: the eggplant & prosciuttio panini on a baguette with ricotta cheese, and the spinach salad, which had grapefruit and avocado with lemon vinaigrette. I also got a drink. Apparently, if you order a sandwich, you get a small side, but the spinach salad wasn't included as an option. So I asked if I could substitute it, and just pay the difference. But the man behind the counter was flustered and simply told me I couldn't do that. I told him I could pay the extra, but apparently they just won't substitute. So I told him to charge me the full price for the salad; he hurriedly rung it up, which came to around $18. I was shocked, but just kind of wanted out of the center of attention, so I paid and took a seat. After I sat there, I took a look at my receipt. Basically, I was charged for the full price of the sandwich, including a side that I didn't get, and the full price for the salad. I wish I would've at least chosen a side since I had to pay for it, but that got lost in the shuffle when he was just trying to get my order done and out of his way so he could move onto the next customer. I was handed a number, and I looked around while I waited for my food to come to my table. It was definitely a young professional area. Lots of suits and stilettos and ties. That would make sense, since the gimmick of this place is "organic" and "healthy" and you get charged $18 for a sandwich and a salad. My sandwich came out, and it was about as long as the tip of my middle finger down to the bottom of my hand, and about half the width of my hand. This sandwich was small! Especially for nearly $9. The flavors, though, were on point. The ricotta was delicious and creamy. The prosciutto was slightly salty and tender, the eggplant fresh. I really liked this sandwich. But I ate it in about six bites, so I was happy I had a salad to dive into next. One bite of the spinach, and my lips puckered. I barely tasted the sweet greens, and instead taste the citric bitterness of lemon. This wasn't just a lemon vinaigrette, it basically tasted like lemon juice. The grapefruit was sour, and the avocado absorbed the lemon flavor so mcuh, that I didn't taste the cool taste of avocado. My entire salad was one giant sour patch of disappointment. I only took a few bites, and even though it was $8, it wasn't worth trying to finish. I was fairly disappointed in the service, as well as the salad, despite the sandwich being excellent. But it was too small... My grade was wavering between a "b" and a "c," then I remembered what happened after we were finished eating. You have to take your tray over to a small dumpster bin and put your plates and utensils in a tray and throw the garbage away. Not only did this remind me of a cafeteria, but I also have an aversion to touching others' dirty dishes. It grossed me out to see other dishes that people used already in the bins. Maybe that's bratty, but I just paid $18 for a small, yet delicious, sandwich and a terrible salad, that's the least they could do. I left still hungry. I probably won't be going out of my way anytime soon to hit up this restaurant. Hopefully service/portions will get better with time.